Marie is a 46-year old female who has been your patient for the last 7 months. She works full-time as a licensed practical nurse (LPN) in a long-term care facility and has 3 children, ages 15, 12, and 10 years old. Marie initially presented to your office with laboratory results and physical symptoms strongly suggestive of RA. After a full work-up, the diagnosis of RA was confirmed. At baseline, Marie’s disease activity score in 28 joints (DAS28) was 4.8, indicating moderate disease activity. The decision was made to initiate therapy with oral methotrexate (MTX) 10 mg/week, folic acid, and a short course of low-dose prednisone. The MTX dose was titrated to 15 mg/week after 4 weeks. A month later, Marie had stopped taking prednisone and was up to 20 mg/week of MTX. Her DAS28 score was down only slightly to 4.5. It was decided to increase Marie’s MTX to 25 mg/week and reassess her disease activity at month 3. Unfortunately, Marie’s DAS28 score did not substantially improve at this next milestone. She also mentioned being increasingly frustrated as she kept waiting for her medication to help her pain and daily morning stiffness, but it seemed to have little effect. As a result, she admitted to occasionally missing a dose. In the literature, adherence rates to prescribed medication regimens in patients with RA have been reported to range from 30% to 80%,2 with a recent meta-analysis reporting an overall adherence rate to DMARD therapy of 66%.10 When looking at DMARD therapy by class, a systematic review evaluating MTX adherence in patients with RA found that adherence rates were highly variable, ranging from 14% to 107%.11 Similarly wide variability in adherence to biological DMARDs has been reported, ranging from 11% to 88%.12 Much of the available real-world data is focused on tumor necrosis factor (TNF) inhibitors, while real-world data evaluating adherence to non-TNF inhibitors and synthetic biologic DMARD therapies are more limited. While the majority of clinical data indicate that different TNF inhibitors have comparable efficacy and safety,7 differences in adherence rates between different TNF inhibitors has been reported. TNF inhibitors differ from one another in route of administration (e.g., intravenous vs. subcutaneous) as well as frequency of dosing (e.g., weekly, biweekly, monthly, bimonthly), both of which can impact adherence. 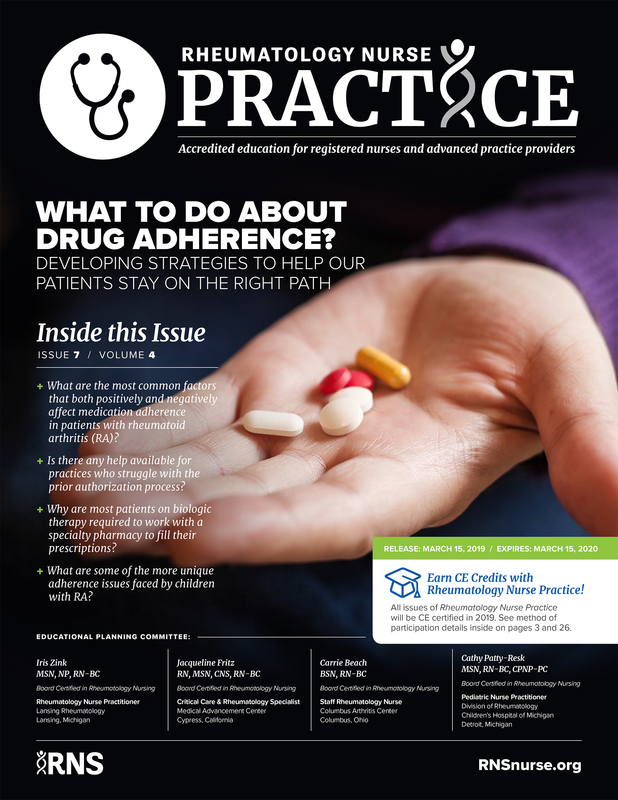 Nonadherence can be categorized as intentional (don’t fill, refill, and/or take as prescribed) or non-intentional (forgets, misunderstands, inaccessibility, polypharmacy).9 Studies have shown that nonadherence is frequently intentional.22 Intentional nonadherence typically reflects patients’ personal beliefs about their illness and its treatment, and is a result of a patient balancing the perceived benefits of therapy (e.g., reduced symptoms, prevention of functional loss, cure of disease) against perceived risks and other concerns (e.g., medication side effects, cost).2,23 Data in the literature widely indicates that a patient’s faith in the necessity, effectiveness, and safety of treatment for managing rheumatic disease is a key contributor to and influencer of treatment adherence.9,24,25 This is consistent with findings in the general health population that have shown that patients who report more negative beliefs about medication are 53% less likely to adhere to medication regimens than those with positive beliefs.26 The impact of medication side effects on adherence will be discussed later in this issue of Rheumatology Nurse Practice. owever, awareness of factors that may influence medication adherence in patients with RA could help healthcare providers identify patients who are potentially at risk of nonadherence and tailor possible interventions. In the literature, some factors that have been found to potentially associated with adherence are presented in Table 1. Given the lack of Marie’s treatment response to MTX monotherapy, you discuss with her the possible addition of a second DMARD to her treatment regimen. When discussing treatment options, it becomes clear that Marie has a strong preference for a self-administered subcutaneous injection over an IV infusion due to the higher level of flexibility and control that would offer. Given Marie’s employment in a long-term care facility, you mention to her that some medication choices, such as non-TNF biologics, may be better than others given her exposure to a patient population with an increased incidence of tuberculosis (TB). After further discussion, you jointly decide to begin therapy with abatacept (weekly 125 mg/mL single-dose autoinjector) in addition to MTX. You go over Marie’s current medications, health concerns, and recent travel, and decide to administer a TB test. You also review self-injection techniques with her, with assurances that hands-on training will be repeated before she has to administer the first dose of abatacept. Following this meeting, your office initiates the prior authorization process. The choice of DMARD typically depends on patient and physician preference, disease activity, comorbidities, the benefits of treatment, and potential side effects. 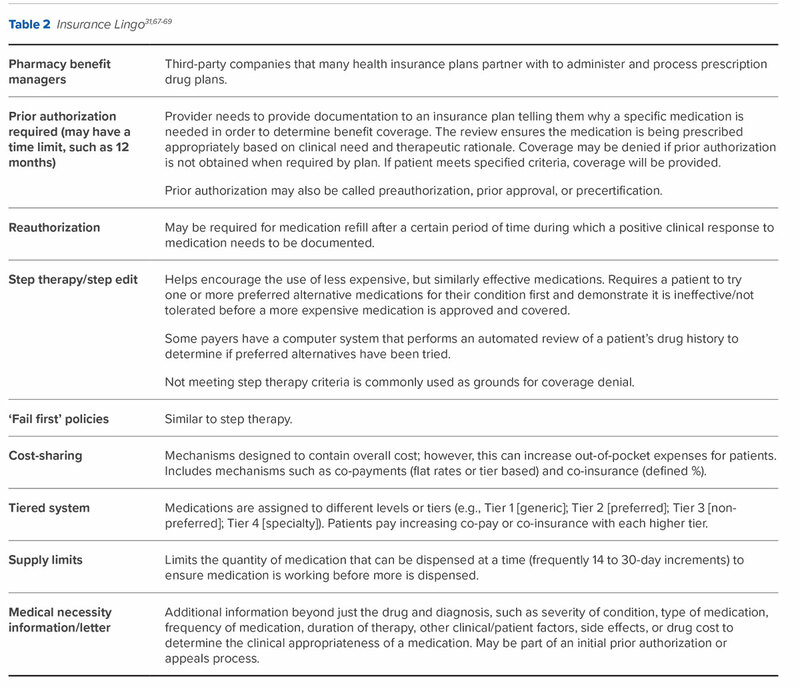 In some cases, it will also be influenced by payor coverage and reimbursement criteria.6 An increasing number of medications used in the treatment of RA, including biologic and synthetic DMARDs, require a provider to submit a prior authorization form to the health plan for approval before insurance coverage will be provided. There is incredible variation between payors and plans in both the commercial and government insurance space in terms of DMARD coverage criteria and determination, making navigating the coverage process challenging, if not burdensome. While processes may vary, when a medication requiring prior authorization is prescribed, typically the patient will sign a medical release allowing the prescribing provider to start the benefit verification and prior authorization process with the health plan/PBM on the patient’s behalf. Depending on the practice set-up, this process may be managed a nurse, a practice manager, a physician, or an advanced practice provider (i.e., nurse practitioner or physician assistant). Alternatively, patients may take prescriptions to their pharmacy, who upon entering the prescription into the system receive an alert that prior authorization is needed. At this point, the prescribing provider is notified and the process is initiated.32 Another common option is for the prescription to be sent to the pharmacy/specialty pharmacy, which then provides assistance for the benefits investigation/prior authorization process.33 Lastly, many drug manufacturers will contact insurance companies on a patient’s behalf and assist with the benefits investigation and prior authorization process when a patient is initiating treatment with their product. In the event of a prior authorization denial, patients and their providers have several options. One is to choose to remain with the prescribed medication and assume responsibility for its full cost, perhaps utilizing foundation or manufacturer co-pay or patient assistance programs. Another is to change the prescription to an alternate drug that is covered by the health plan. The final primary choice is an appeal. Each choice follows a different path. When a prior authorization is denied, the reason for denial, the appeals process, and appeals form are frequently provided by the insurance company. The appeals process generally entails completion of that form as well a letter of medical necessity, which can include relevant chart notes/labs/assessments from the patient medical record, a detailed documentation of past therapies and results, and any other background information that may help. Providers may also include guidelines or other publications that show why they believe the requested medication is medically necessary in this specific patient.39 Standard internal reviews can take anywhere from 30 to 60 days, although expedited reviews can be requested.40 Once prior authorization is granted, the prescription is sent to the pharmacy; in the case of biologic and synthetic DMARDs, it is sent to the specialty pharmacy. After an expedited review of the filed appeal, Marie received authorization to begin treatment with abatacept. She received notification she was scheduled to receive her first shipment of monthly medication and supplies from a specialty pharmacy. They have limited distribution networks. After Marie heard from the specialty pharmacy, she called your office upset that her insurance co-pay was too expensive. You discussed some of the financial support options that might be available to her and referred her to the drug manufacturer’s website in order to enroll in their clinical and financial support program. After doing this, Marie learned that because she had commercial insurance, she qualified for the abatacept co-pay assistance card, which reduced her monthly out-of-pocket expenses significantly. Biologic and synthetic DMARDs are unquestionably expensive. According to GoodRx, an online tool that tracks drug pricing and coupons at various pharmacies, the average list price for a 1-month supply of abatacept (1 carton, 4 doses of 50 mg along with SureClick autoinjectors) is currently $5,463.84.46 However, out-of-pocket costs to individual patients can be hard to pin down as co-pay/co-insurance amounts vary significantly between commercial and government-sponsored plans and can be affected as well by medical or pharmacy benefit designation. Some studies have found, however, co-insurance requirements as high as 30% to 50% of the drug cost for medications in specialty tiers.47 Thus, given the cost-sharing models most healthcare plans utilize, patients are not often spared the burden of expense. Fortunately, all manufacturers of currently available RA specialty drugs offer comprehensive patient and provider support programs, which may be phone-, web-, email-, or home-based, depending on the manufacturer. 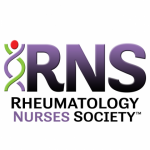 These programs are designed to help patients and providers improve the management of RA and optimize outcomes. A variety of types and level of services are offered within these programs, such as insurance specialists who assist with coverage and reimbursement issues, nurse educators/ambassadors/case workers and pharmacy specialists who provide educational and clinical support (e.g., nutrition, practical tips on living with RA, self-injection training), treatment adherence support (e.g., medication and prescription refill reminders, phone/tablet apps), and financial assistance. Types of financial assistance vary depending on manufacturer and type of insurance coverage (commercial, government, under- and non-insured), but may include co-pay savings cards, prescription rebates, patient assistance programs, and help identifying foundations and nonprofit organizations that offer patient financial support resources. 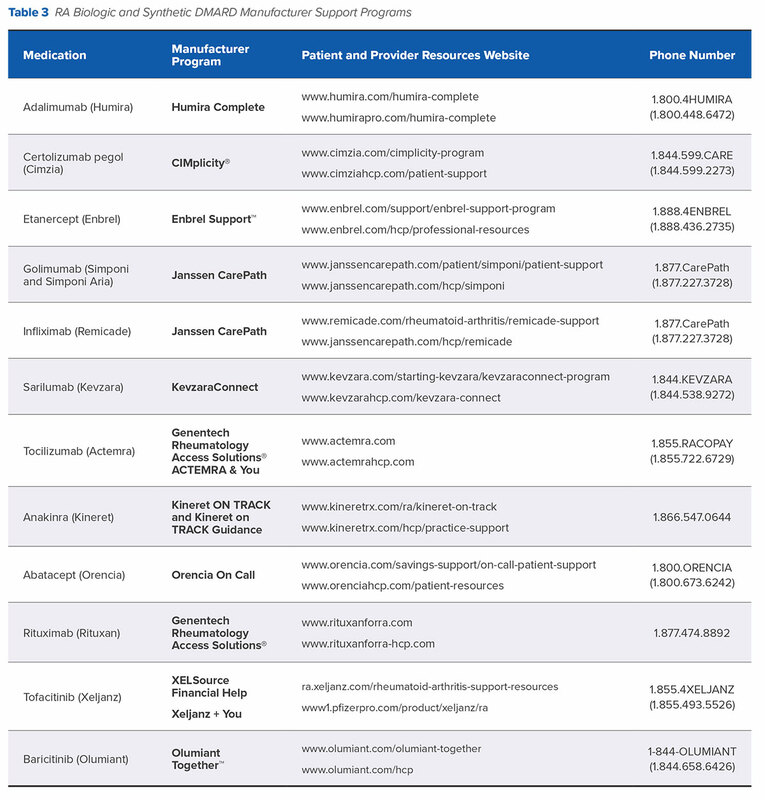 Patients can usually enroll in the program specific to their medication via the manufacturer website (see Table 3). After Marie received her first shipment, self-injection techniques were reviewed and demonstrated. She began self-injections with abatacept, but after several doses she called the office concerned that her skin was itchy and red for several hours after each injection. One of her close friends was worried that she might be getting repeated skin infections. After discussing the cause and management of her injection site reactions with you, Marie said she felt more confident she could tolerate and manage this side effect and agreed it was important to continue therapy to see if she responded to it. Before treatment initiation, medication guides or other materials should be reviewed with patients and/or their caregivers. This should include a detailed review of possible side effects, practical tips to manage side effects if they arise, if and/or when patients should be concerned, and who to call if they have concerns or questions. The Patient Information section, available at the end of product package inserts, often contains helpful information about the medication, side effects, general information, and how to use and store medication as well as helpful visual aids on self-injection techniques when relevant. Manufacturer websites also often provide patient materials, including self-injection guides. Some specialty pharmacies and manufacturer patient support programs have staff who are available to discuss concerns and answer questions, typically on a 24/7 basis. Actual medication adherence: How regularly does the patient take the medication? How do they keep track of their medication use? Soliciting questions or concerns about medication: How well does the patient think the medication is working? Are there any ongoing or new tolerability or side effect issues? What about challenges in the use of the medication (e.g., complexity, schedule, self-injection techniques)? Is cost an issue (e.g., changes in insurance plan, co-payments)? Outside influence: Does the patient have any concerns that have arisen from conversations with family or friends, or from anything they may have seen in the media? Do they believe that their prescription medicine is important and will do more good than harm? Mobile applications are increasingly emerging as a tool to improve adherence. For example, RxRemind (http://rxremindme.com) has developed a medication adherence app that tracks when a medication was last taken, when the next dose is due, how much is left, and when prescriptions need to be refilled. In 2012, 81% of U.S. adults reported using the Internet, with 72% of those reporting looking online for health information, most commonly a specific disease or medical problem.63 More recent data indicate that when patients are in information-gathering mode, trusted health websites are the most commonly utilized source (43%), followed by search engines (29%).64 Starting a new medication and experiencing side effects has also been shown to be another trigger for online research.65 Social media (e.g., blogs, networking sites, discussion forums, content communities, collaborative projects) is being increasingly utilized by patients to seek information and generate support for their medical issues.65,66 While the potential for misinformation and resultant harm exists, a review evaluating the use of social media in patient and caregiver populations found the most common intended use of social media was to facilitate self-care; this was associated with positive outcomes in the majority of studies.66 In addition to manufacturer websites, additional reliable sources for drug-related patient education can be found in Table 5. Management of RA is a complex process, with DMARD therapy being a cornerstone of treatment. Unfortunately, adherence to DMARD therapy remains suboptimal for many patients, potentially compromising health and quality of life. 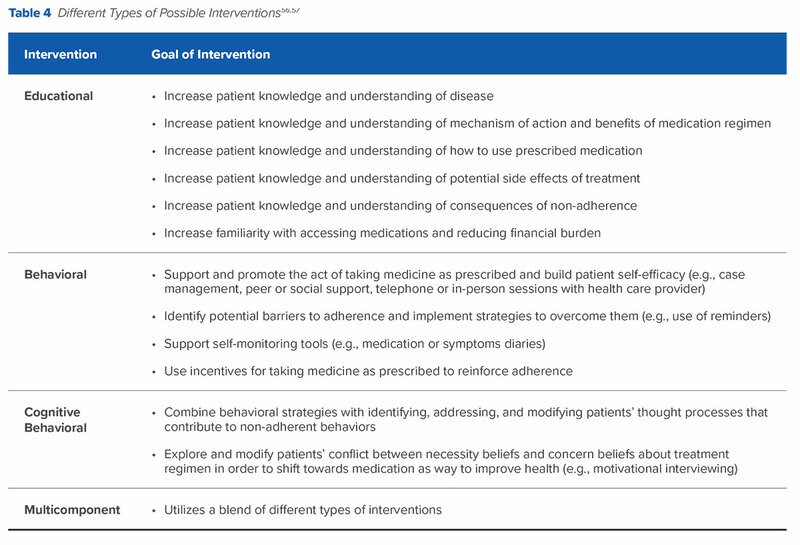 It is widely recognized that adherence behaviors are multidimensional and complex; as such, interventions should be individualized to reflect the reasons for treatment non-adherence. Numerous stakeholders, spanning from individual patients to society as a whole, have vested interests in improving medication adherence and thus, health outcomes and related costs. Fortunately, promoting adherence behaviors can occur at multiple touch points in a patient’s treatment journey. In addition to the important work that happens in providers’ offices, specialty pharmacies and drug manufacturers have emerged as potentially powerful partners for supporting improved adherence behaviors.